Below are answers to some of the questions Safco frequently receives from our customers. Check back frequently as we are constantly updating our knowledge base. What is the best type of wire for a coil cord? There are many types of material that can be used to make a coil cord. Generally there is a tradeoff between cost and retractability. PVC (Polyvinyl Chloride) is very low cost, but will generate a coil cord that will not retract well when it has been stretched to full operational length. Over time the coil will stop retracting fully. If your application will not require a high number of extension/retraction cycles, then PVC can be a lower cost alternative. One other consideration for PVC is that it is not permitted in certain applications, such as medical and toys. If a high number of extension/retraction cycles will be required, then thermoplastics such as PU (Polyurethane) or TPR/TPE (Thermoplastic Rubber / Thermoplastic Elastomer). These materials are more costly than PVC, but will continue to retract after a high number of extension/retraction cycles. Each of these materials has different electrical, environmental and chemical characteristics, so it is a good idea to contact your SAFCO representative for additional information. What gauge wire should I use for 10 amps? The gauge of wire required is dependent on a number of factors, but the two most important factors is the amount of current the wire can handle and the amount of voltage drop. In an ideal world, wire will not have any resistance to the flow of current, but this is not an ideal world. The wire has some resistance which increases with smaller wire. This resistance causes the wire to heat up and the voltage to drop. The amount of heat is dependent on the amount of current. The amount of voltage drop is dependent on the amount of current and the length of the wire. Remember that this voltage drop is in a single wire. Since most applications need a source wire and a return wire (positive and ground), the actual voltage drop in your application will double. The amount of heat that the wire can tolerate is dependent on the type of insulation and on your application. Your SAFCO representative can help you to select the proper wire for your application. How much voltage drop is there in 10 feet of 18 AWG wire carrying 10 amps? Typical stranded 18 AWG wire has a resistance of approximately 6.4 ohms per 1,000 feet (20.9 ohms per kilometer). So for 10 feet, the resistance would be approximately 0.064 ohms. By Ohms Law, the Voltage drop across a resistance is equal to the resistance multiplied times the current passing through it, so the voltage drop would be 0.064 ohms * 10 Amps = 0.64 Volts. Your SAFCO representative can help you to select the proper wire for your application. What is the best vehicle power adapter (VPA) for my application? Why? What is the total current required for the application? For a low current application, then a lower cost VPA is generally acceptable. For higher current applications, devices with higher temperature plastics and more conductive metal components are required. Is a fuse required for the application? Some VPA adapters have an internal fuse and some do not. There is generally a 15A or 20A fuse in the automobile that will protect the electronic device from catastrophic failures. If the electronic device being powered is not fused, it is suggested to use a fuse in the VPA to protect the electronic device from minor failures. Is it necessary to have visual indication that the VPA is receiving power from the automobile? Some VPA devices will have a visual indicator, typically an LED. This will give a quick indication that power is being received. However, it does add some cost which may not be needed in the application. Is a switch needed to turn off the power without removing the VPA from the receptacle? Many times it is preferable to allow the end user to turn off power without removing the VPA from the receptacle. This is typical in applications where the user may be required to turn the device being powered on and off while the vehicle is in motion, such as an emergency response vehicle. Is the output cable being frequently flexed and pulled or is it generally stationary? In an application where the cable is rarely moved after the VPA is plugged in, such as a revolving light or a lighted advertisement sign, there is very little stress on the output cable so it is very unlikely to break due to strain. However, for a device that is frequently moved while it is plugged in, such as a hand held spotlight, a cell phone or a hand-held terminal, the cable is subjected to quite a bit of stress and strain at the points where it is anchored to the VPA and the device being powered. Strain reliefs at these points will cushion this load and significantly lengthen the life of the product. Can I use the same charger for any battery? Why? Most battery chemistries can be charged by any charger. However, for optimal performance of the battery and for longer battery life, it is best to use a charger that is designed for the battery chemistry you are using. Lithium, Nickel Metal Hydride, Nickel Cadmium and Lead-Acid batteries all charge at different rates to prevent overheating and overcharging. These conditions can shorten the life of the battery or even cause it to fail. Why might I need surge and spike protection in my vechicle? Most everyone is familiar with using surge and spike protectors for their sensitive home electronics. Power surges and lightning strikes are among the conditions home electronics may be subjected to. There are power surges and spikes in cars as well. The switching of loads, such as starters, electric fans and air conditioners, can cause quite large electrical spikes. The Society of Automotive Engineers (SAE) has done extensive testing and indicates that surges and spikes as low as -600V and as high as 175V were regularly recorded during normal operation of automobiles and trucks. These surges and spikes can cause sensitive electronics to fail prematurely. Why doesn't a cigarette lighter adapter (CLA) power supply need a fuse? Some CLA power supplies have built in current limiting functionality which lowers the output voltage or shuts off the output of the CLA when the output is overloaded. This allows the CLA to safely operate without the need for a costly fuse. What is the difference between a charger and a power supply? Although these two names are frequently used interchangeably, they are in fact quite different. 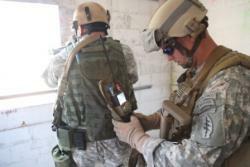 Charger: A true charger is designed to properly charge a specific battery chemistry and size. It will vary the output voltage and current as required to optimally charge the battery without overheating or otherwise damaging the battery. Power Supply: A power supply is a device that supplies electrical energy to one or more electric loads. A power supply generally refers to a device that will output a constant voltage(s) regardless of the load, as long as the load is less than the maximum load. Power supplies may have a wide number of inputs, such as AC mains, DC power, battery power, etc. 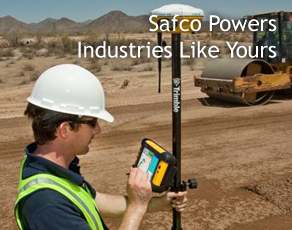 What is the power range of Safco power assemblies? Power assemblies can range from very small, in the micro-watt range, up to extremely large, in the thousands of watts. 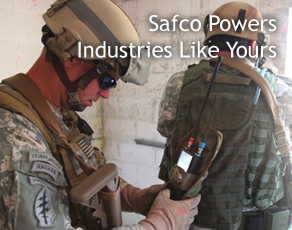 At Safco we focus on our expertise in power assemblies ranging from a few watts up to 100W. These assemblies are suitable for low-power DC-DC applications. 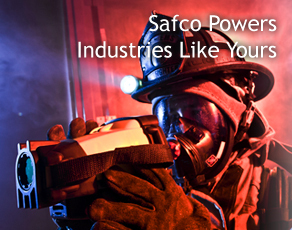 For additional information, contact your SAFCO representative. Does Safco maintain manufacturing facilities in the US? Yes. Safco is headquartered in Skokie, Illinois, where it maintains manufacturing and warehousing facilities. 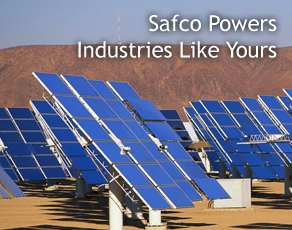 In addition, Safco has been manufacturing product overseas for 20 years. These domestic and international manufacturing capabilities offer customers a full range of production options. Does Safco offer inventory management solutions? Yes. Safco has the resources and relationships necessary to provide streamlined and cost-effective inventory management. We work closely with our customers to tailor programs to fit their unique needs and cost-expectations. What is the level of guidance I can expect from Safco in developing a power solution for my device? Safco is committed to a high-level of customer service for new and existing customers. Our knowledgeable engineers and responsive sales representatives can provide as much or as little assistance as you need during each step of the product development process. If you have an idea for a product, we can help you design it and create a working prototype. Those with existing designs can rely on us to manufacture their power solutions to their exact specifications through a seamless, hassle-free production process. What kind of turnaround can I expect for a working assembly prototype for my device? 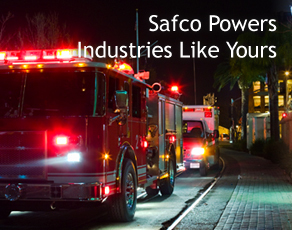 Safco understands that timeliness is key when producing a working prototype for our customers. Our turnaround highly depends on the complexity of the prototype; however, our customers frequently tell us we exceeded their delivery expectations. I have an existing assembly that’s causing problems in the field. Can Safco troubleshoot existing assemblies? Yes. We’ll gladly troubleshoot a third-party power assembly and offer expert advice on how to address problems experienced in the field. How much does it cost and how long does it take to get a UL listing on my product? According to the UL website “Cost varies depending on the product type and scope of the evaluation. Once UL reviews your product information to determine the full scope of the investigation, UL will work with you in determining the time frame for testing and certification.” There are many different UL standards a product may be evaluated to. The length of time needed to complete the evaluation can vary widely depending on the amount of product testing required and can be just a few weeks or many months. The use of UL recognized or listed components can greatly reduce the testing time required as these components frequently will not require additional testing. Working with a partner who is knowledgeable in UL standards and is experienced in navigating the channels of agency approvals can greatly decrease the amount of time and cost necessary to achieve the desired approvals. When is a CE mark required? Most finished products and some component products to be shipped into Europe require a CE mark be placed on the product as a requirement of the relevant European health, safety and environmental protection legislation. CE Marking on a product is a manufacturer's declaration to government officials that the product is in compliance with this legislation and may be legally placed on the market in their country. CE Marking on a product ensures the free movement of the product within the EFTA & European Union (EU) single market (total 28 countries). In addition, proper CE Marking on a product permits the withdrawal of the non-conforming products by customs and enforcement/vigilance authorities. The consequences of shipping improperly marked products into Europe can be quite significant. Working with a partner who is experienced in dealing with CE marking requirements can minimize the cost and risk involved.